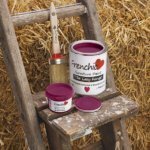 Frenchic Frensheen and finishing coat. 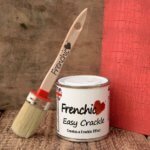 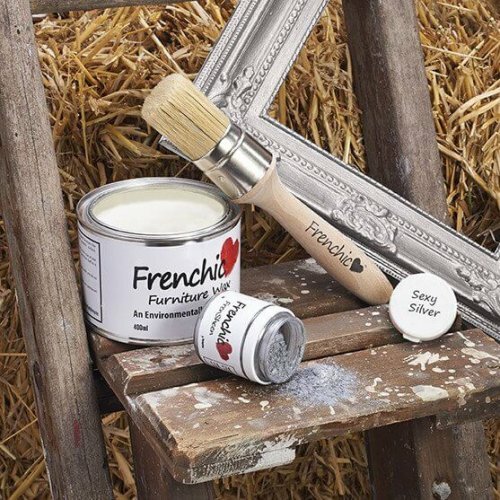 Frenchic Frensheen is a natural mineral finish, available in 5 different colours, that can add that certain ‘pizzazz’ to your painted furniture. 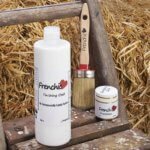 It is best applied by mixing the desired amount to our Finishing Coat. 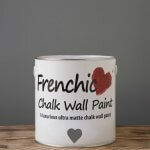 The more added the bolder the colour. 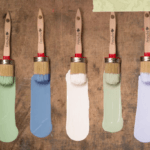 Brushes pictured here are also available.